Business Professionals, Students, Non-native English Speakers, Others. . .
Would you like to become a more confident writer? Would you like to make sure that your grammar, wording, and punctuation are perfect for a particular message, assignment, report, website page, or other document? Could you benefit from having an easily accessible resource to review your writing before it goes out? We offer several options to assist you with your current writing and editing needs, and help you to improve your writing for the future. Send us your e-mails, blogs, newsletters, essays, reports, customer correspondence, or any other written material. Edit it and send you a corrected copy that’s ready-to-go. Send us your written material on an ongoing basis. Offer detailed suggestions to improve the grammar, punctuation, wording, structure, etc. of the document. picture" ways to improve it. more focused, interesting, and concise. Address any questions that you have. Do you know what you want to say, but feel unsure how to present it? We can edit something that you’ve already written, or send us your notes and instructions and we’ll write it for you. 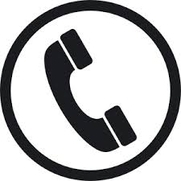 Call for a free phone consultation, or e-mail us to let us know what you need. After that, you’ll send your work to us, and we’ll send back the edited or notated version. Short pieces can often be completed within hours. For longer assignments, let us know when you’d like to have your material back, and we’ll commit to a firm completion date after we evaluate the work time required. Need a quick turn-around? Let us know when you'll be sending your material and we'll schedule time to complete it within your time frame.